You can’t dance at two weddings. That’s what a popular German saying means in English. But that’s what Congress matriarch Sonia Gandhi wants to do — or wants her party to do — on the Sabarimala fracas. 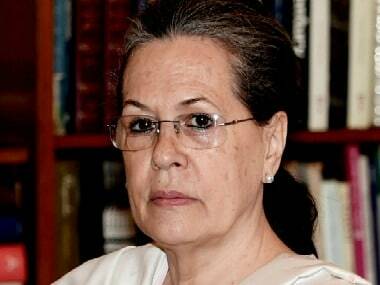 Sonia Gandhi is no longer the Congress president but only the chairperson of UPA. But this apparently didn't stop her from issuing a diktat to Congress MPs telling them not to wear black arm bands to protest against entry of women into Sabarimala temple on Wednesday. Doesn't Congress stand for gender equality, she chided them. The genuflecting loyalty and unquestioning obedience that are part of the Congress culture ensured that the attempt to support the Sabarimala protestors in Parliament was quickly abandoned. But at the same time, Sonia had no problem letting the party continue its protests in Kerala against the temple entry of women to suit the state's "local politics". So Congress dances to the tune of Hindus who are angry with the violation of a tradition in Kerala, and also to the tune of those singing the song of gender justice in the rest of India. Ideology? Take this new definition: For Congress, ideology is region-specific and vote-sensitive and, like cuisine and ingredients, it can change from place to place, perhaps even from time to time. But never mind if Congress ends up not having an opinion on gender justice. The only opinion Congress has is that it must defeat BJP in the upcoming Lok Sabha election, even if the party has no clue as to how it must go about achieving it. What Congress wants to do is this: It wants to defeat BJP as well as CPM in Kerala by taking the stand that menstruating women must not enter Sabarimala temple. 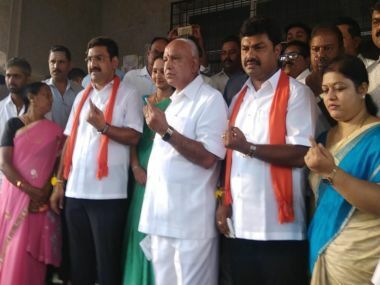 It wants to defeat BJP in the rest of India with the position that all women can enter Swami Ayyappa's shrine that bars entry to the women between age of 10 and 50 years. In Kerala, Congress is the protector of a Hindu tradition. Elsewhere in India, the party is the champion of women's rights. What kind of women's rights Congress is fighting for is another thing. 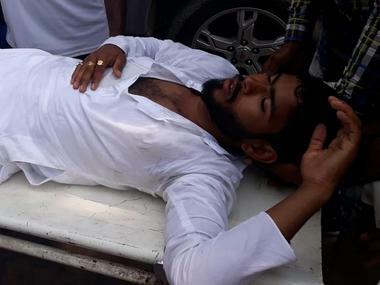 In all of India minus Kerala, Congress supports those who suffer from an ideological perversion, which equates a Hindu tradition confined to one single temple among a million across the country with gender discrimination, which means fighting for a right that women devotees do not want, and which only ends up ensuring that Leftist and supposedly atheist women get the chance to visit a god they do not believe in. Besides this ideological distortion, the Janus-faced and double-tongued strategy of Congress suffers from two fundamental flaws. The first one is that in the age of internet and rambunctious television which live-telecasts even the sneezing of a politician in Pathanamthitta to helpless audiences in Guwahati, what Congress does elsewhere is not a secret in Kerala. Hindu voters in Kerala whom Congress is trying to woo can't be unaware of the party's contradictory stand on the issue outside the state. This strategy, if it's one, has a second shortcoming, which is that the party may politically end up achieving in Kerala the opposite of what it's trying to do. Fighting for the same Hindu votes that BJP is eyeing, Congress can only lose the race to the benefit of CPM, its primary enemy in Kerala, as mentioned in an earlier article. This trend was confirmed during November’s local body by-elections in Kerala. In other words, if BJP and Congress scramble for Kerala's Hindu votes, this is what could happen in the ensuing division of votes: BJP will gain, but not substantially enough to get seats for itself. Congress will lose, significantly enough to help CPM. 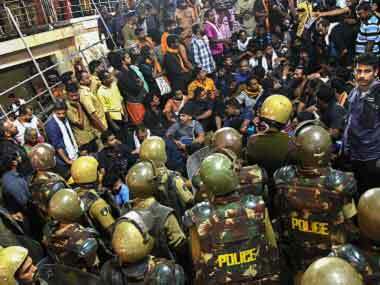 The "tough" stand that the CPM-led Left Democratic Front (LDF) government has taken on Sabarimala may have more to do with a diabolical electoral strategy aimed at indirectly marginalising Congress than any great zeal to fight for women. For CPM, self-preservation comes gift-wrapped in ideology. Sonia's directive to partymen on Sabarimala is in tune with Rahul's own view, expressed earlier, that all women should be able to enter the Kerala shrine. Rahul, however, had said it was his "personal view", while Sonia’s order amounted to an official action. But what Sonia did runs contrary to Rahul’s attempts to style himself as a born-again Hindu. 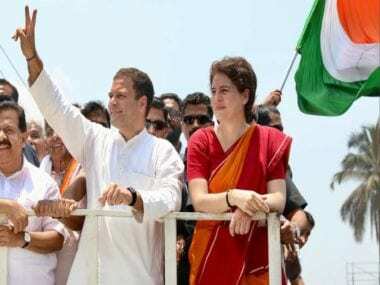 In one stroke, she undermined what Rahul had been trying to do by hopping from temple to temple during Assembly elections in various states beginning with Gujarat in December 2017, by undertaking a "religious and spiritual" trek to Kailash Mansarovar last year and by resorting to other 'soft-Hindutva' tactics. After appeasing minorities for long for electoral profit but actually doing nothing for their welfare, Congress is now molly-coddling Hindus, with the preposterous belief that two wrongs will make a right. But after the random victories it scored in last month’s state Assembly elections, the party is evidently too euphoric to even think of possible consequences of its ham-handed electoral strategies that reek of fake secularism and copy-cat Hindutva. The head-nodding and tail-wagging in Congress that follow every word uttered by Sonia and Rahul is not surprising. But what is surprising is the knee-jerk manner in which Left-leaning and dynasty-loving intellectuals turn their hostility to Narendra Modi, however justified it may be on some counts, into an unquestioning acceptance of whatever Congress does or says. This affliction has a name: intellectual bankruptcy.